Its name means foam. 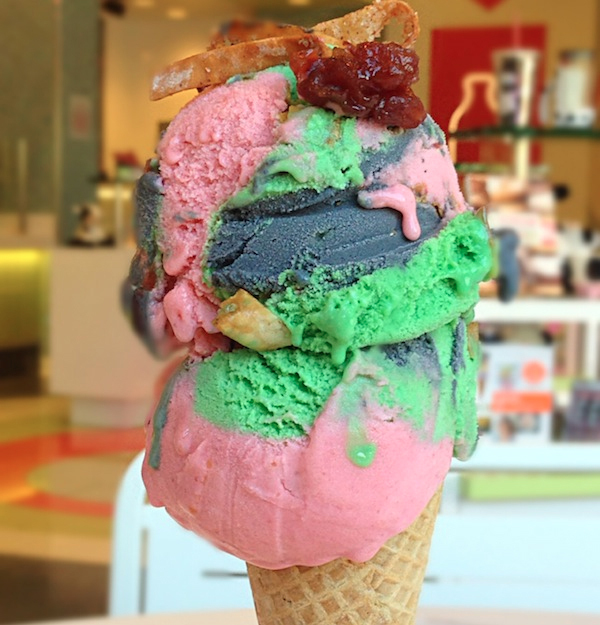 It's made with three layers of cherry, pistachio, and chocolate ice cream. It's also generally considered Italian, except at the BLVD Creamery at the Monte Carlo in Las Vegas, where, believe it or not, the spumoni ice cream is 100% Asian. 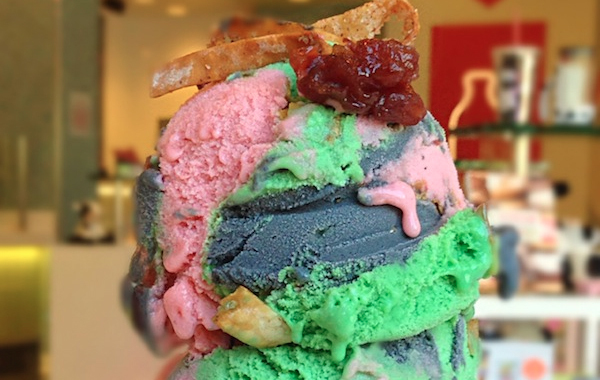 Furnished with red beans, green tea powder, toasted black sesame seeds and sesame seed paste, and toasted cinnamon sugar wonton strips, the BLVD's Asian Spumoni ice cream trades the traditional Italian red, green, and brown creams for three of their most iconic Asian counterparts. The brainchild of our very own Geoff Kutnick and friend Eunice Kim, the specialty Foodbeast flavor is available at BLVD through September. Fingers crossed for a crazy rainbow sherbet version. Sriracha, thai tea, and lychee, what up.